I got my bartending career started by going to bartending school when I was 18. I learned how to make cosmo’s, lemon drops, martini’s and a Negroni. I loved that a Negroni was 3 equal parts because it was easy to remember. I had no idea what it tasted like because the bartending school just used colored water. It wasn’t until a couple years later that I actually tried one. Initially I thought it was gross. As my career has evolved I’ve learned to love the complex bitter taste of a Negroni, and my love of simple 3 ingredient cocktails has always remained. 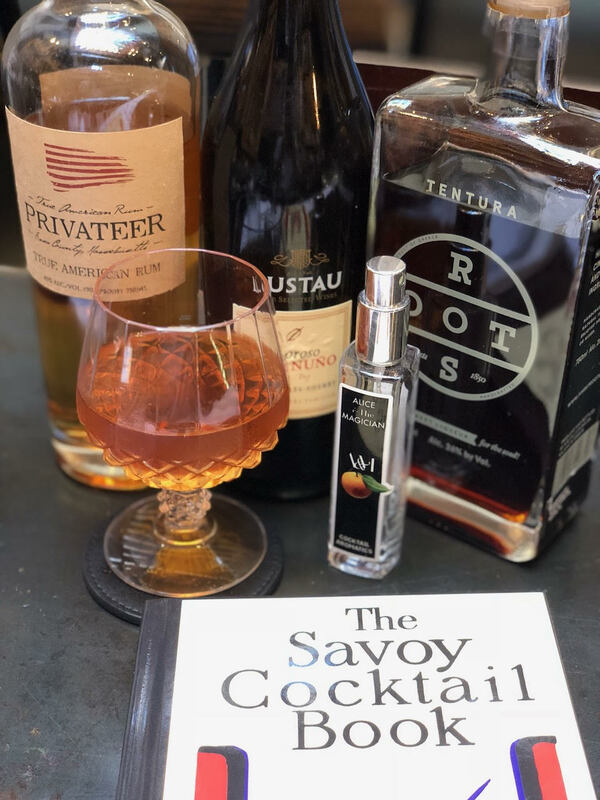 This cocktail is inspired both by the equal parts of a Negroni but also the classic Dunlop cocktail from the Savoy Cocktail book. I’m replacing the dash of bitters with an ounce of Roots Tentura to create a more rich complex flavor. This drink hints at all the decadent, luxurious enjoyments of a cigar without any lingering guilt or unpleasant smell. I imagine drinking this while finding a moment to yourself in a leather chair, perhaps in a nook or library, engulfed in reading a fantasy novel. Sipping this cocktail brings me back to my simple roots as an 18 year old bartender, who was reading the Wheel of Time series instead of my college curriculum.